3⅛" wide x 2⅝" long x 1" deep This set of metal cookie cutters has a variety of butterflies to make 7 different cookies. Made of tinplate. 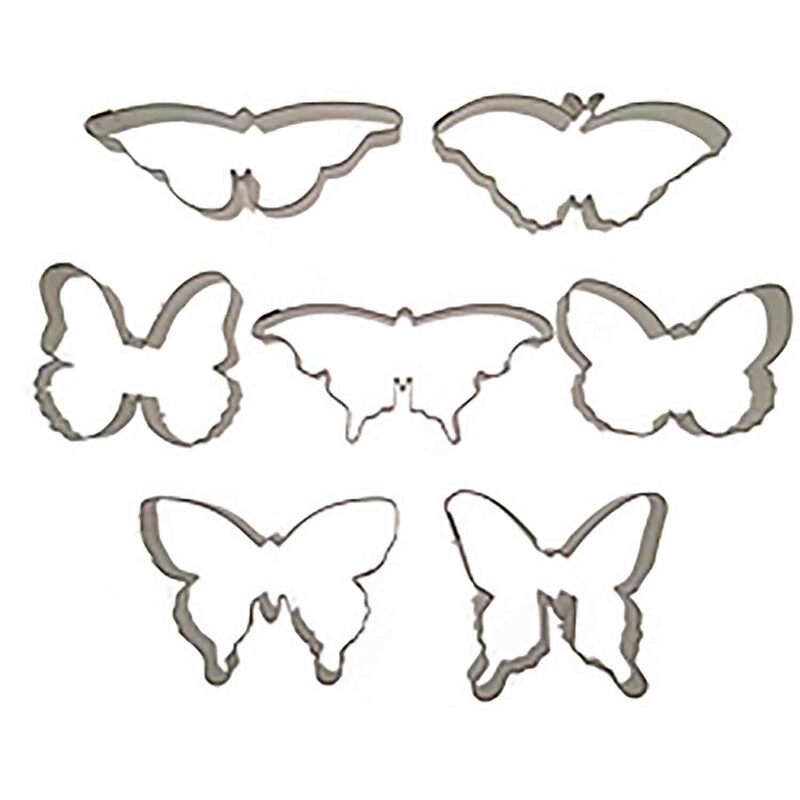 This set of metal cookie cutters has a variety of butterflies to make 7 different cookies. Made of tinplate.